A pie for Pi Day! 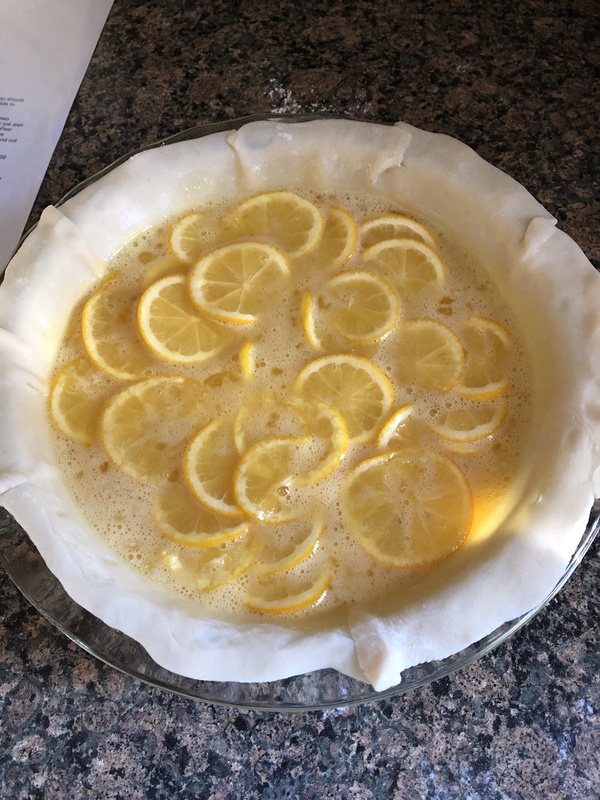 To celebrate Pi Day this year I am bringing you a Meyer Lemon Shaker Pie. Meyer lemons are a tad sweeter than your traditional lemons. They are a cross between regular lemons and mandarins and tend to be smaller, rounder and smoother than traditional lemons. They also have a deep yellow / orange hue to them. I began by thinly slicing the lemons, removing the pits. I then combined the sliced lemons with sugar and salt and set it aside. In a medium bowl I whisked together 4 large eggs with vanilla extract and then combined that with the lemons. I opted to use refrigerated store-bought pie dough. After letting it come to room temperature I rolled it out about and extra 1/2-inch and then pressed it into a pie dish that I greased with butter. I brushed the crust with a beaten egg yolk and then poured the lemon mixture into the crust. 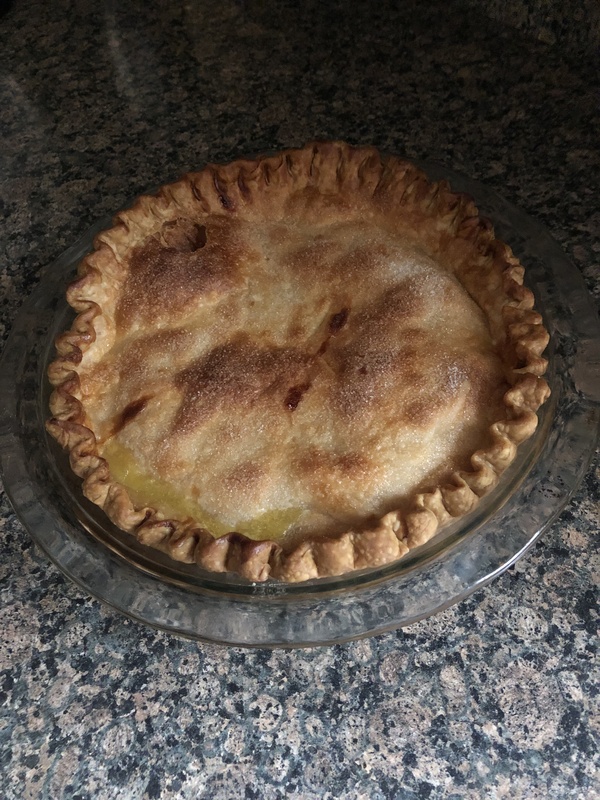 After refrigerating the pie overnight I baked it the following morning… I was pleased with the golden brown color of the crust and that my decorative edge didn’t fall apart completely while the pie was baking. 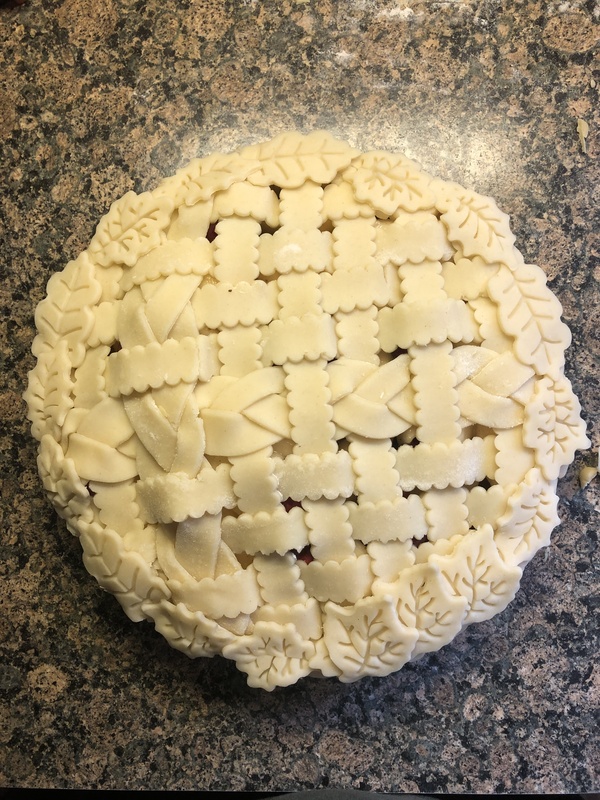 I let the pie cool for a bit and then sliced into it… The filling was jammy as it’s supposed to be, but, I found it incredibly sweet. I tried taking a few bites, but, it was just too much for me. 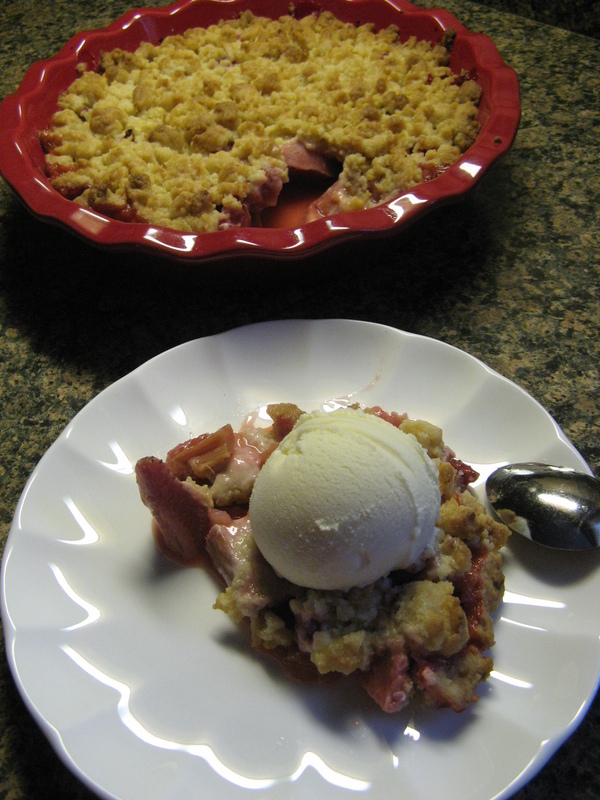 If I make this again I will definitely cut back on the amount of sugar I used per the directions (2 cups). 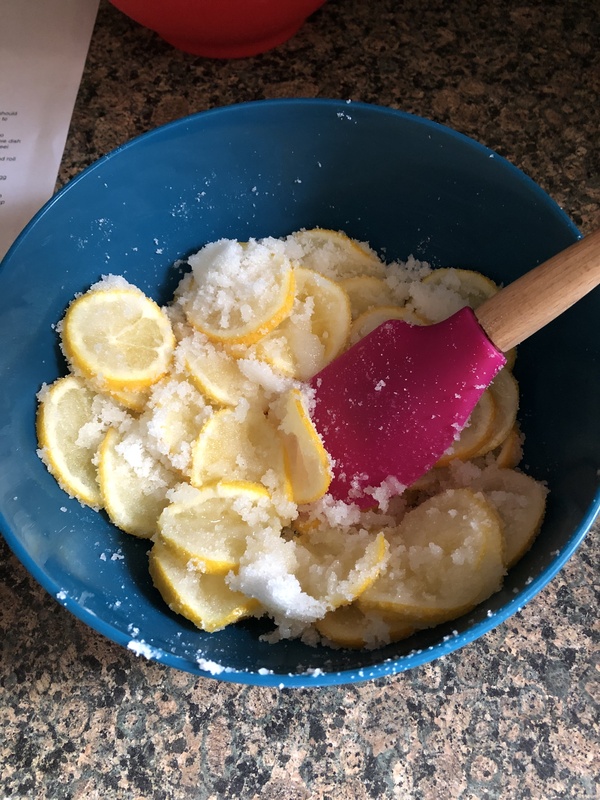 While I was scooping the sugar out to combine with the lemons in the back of my mind I was already thinking “this is way too much sugar,” but since other recipes I saw called for that much I followed along. 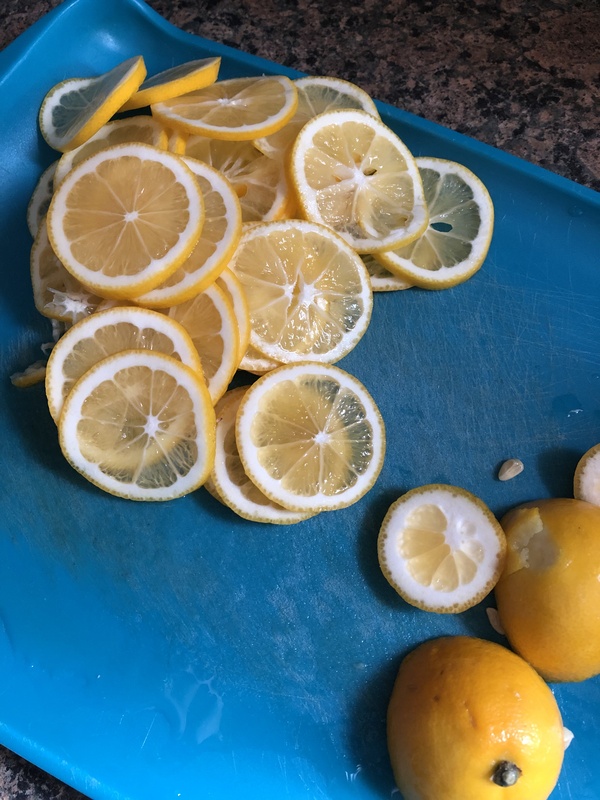 Thinly slice the lemons, removing any seeds. You will need 2 cups of sliced lemons. Combine the lemon slices with the sugar and salt and set aside to allow the lemon to macerate. Whisk the 4 eggs and vanilla extract together in a separate bowl. Lightly grease a 9-inch pie dish. Roll out half of the dough to fit in the dish with a 1-inch overhang. Brush the dough with the beaten egg yolk. Combine the sliced lemons and egg mixture and then spread into the prepared pie crust. Roll out the other half of the dough. If using store bought dough, roll it out approximately a 1/2 inch more and then place on top of the dough in the pie dish. Trim off any excess dough and pinch the bottom and top crust together and crimp or seal the edges with your finger or fork. Cut 4 slits on the top and brush with the beaten egg white and sprinkle the sugar on top. Chill in the freezer for 1 hour or in the refrigerator overnight. Preheat the oven to 450 F. Bake the pie on the lowest rack of the oven for 15 minutes. Lower the temperature of the oven to 375 F and move the pie to the center rack and bake for another 30 minutes. If the edges of the pie begin to brown too quickly, cover with a pie cover or strips of aluminum foil. 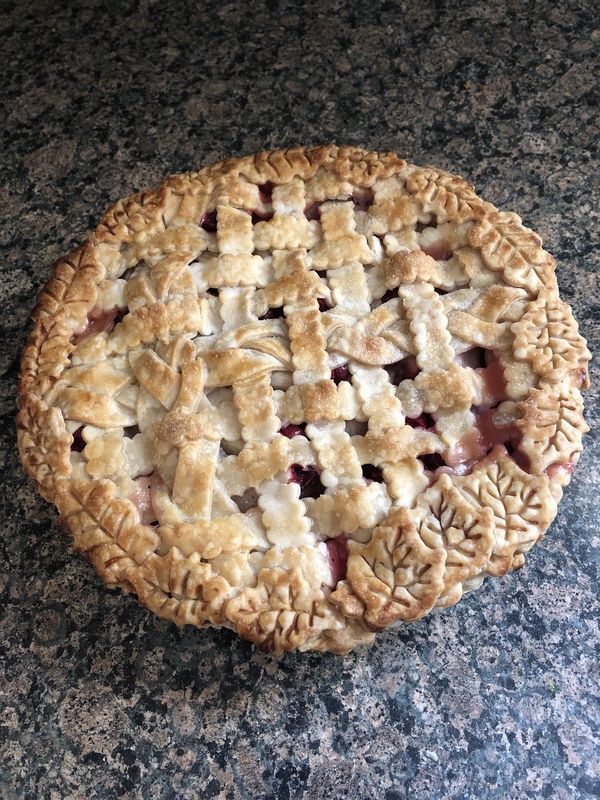 Let the pie cool for at least 30 minutes before slicing and enjoying. It’s March 14th, otherwise known as Pi Day! So named, because of the irrational number 3.14 that goes on infinitely. So, enjoy some pie today in honor of the day. Not a fan of pie, have a slice of pizza from a pizza pie or try your hand at a savory pie, like a quiche. Or, you could out on a limb and have some cheesecake. I actually baked a cheesecake a few years ago in honor of the day. I’ve also made a Banana Cream Pie and a Blueberry Pie as well to honor the day. I was in search of a new pie to make for today and was stumped. 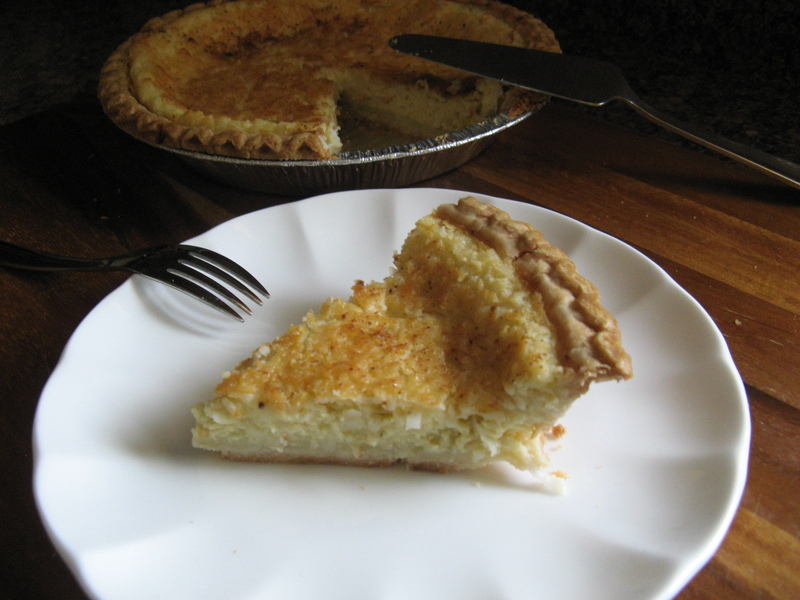 I flipped through an entire book dedicated to pies and nothing popped at me and then I remembered I had a bag of shredded coconut in my cabinet that I had purchased to make crispy coconut cookies – which I haven’t gotten around to – so, I decided on a Coconut Custard Pie. This is actually one of my favorite pies from my youth. I remember my Dad bringing home the Entenmann’s version from the supermarket when I was a kid. Unfortunately, Entenmann’s has discontinued it, so the flavor is a distant memory now. 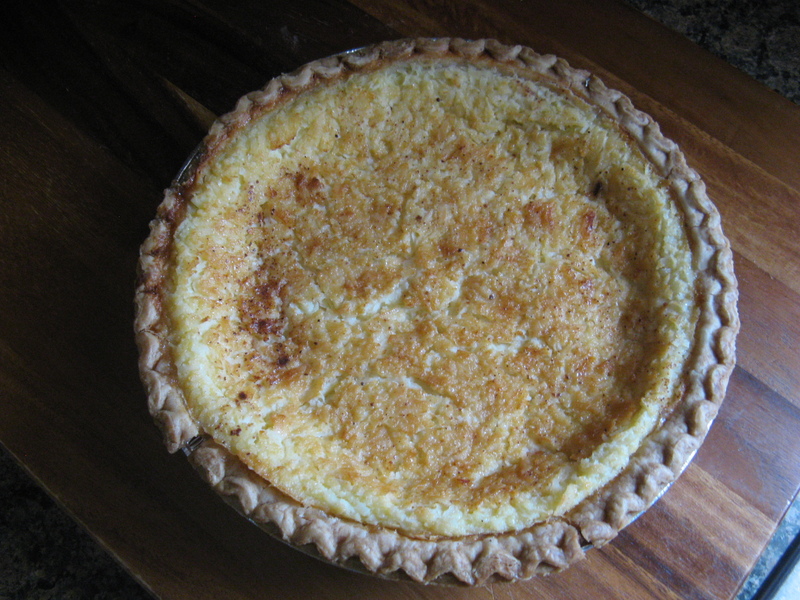 I actually tried making Coconut Custard Pie once before and it came out horrible because I didn’t use whole milk and I think the missing fat from the milk was the leading culprit of my failing. The custard never formed. 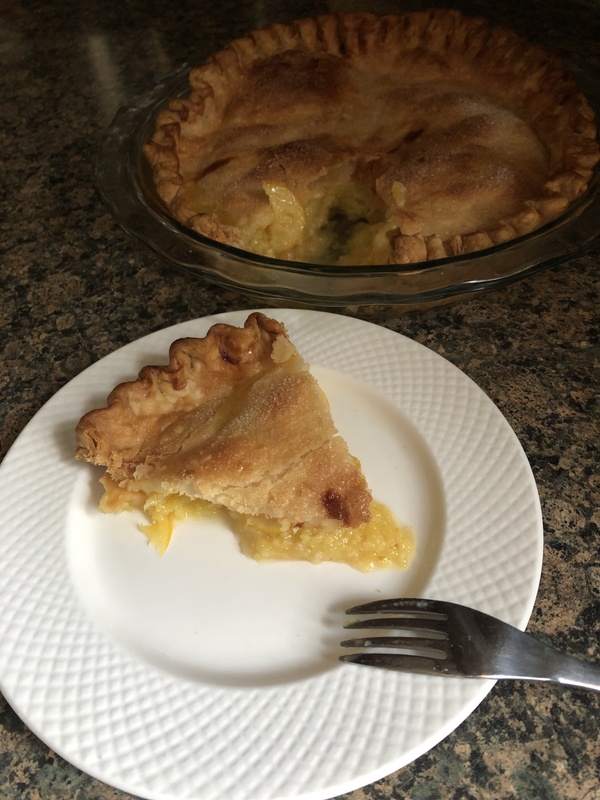 Thankfully I had no issues with this pie… The custard formed, the shredded coconut rose to the top during baking and it was the perfect balance of the coconut flavor and sweetness. 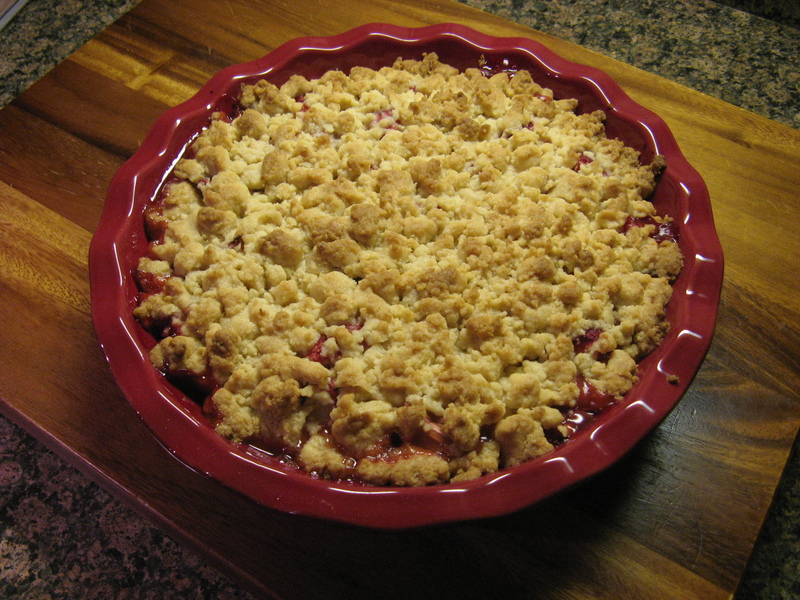 Arrange pie crust into a 9-inch pie plate. In a large bowl combine the butter, eggs, flour, sugar, coconut, milk and vanilla extract. Use a hand mixer to blend all of the ingredients together. Make sure the sugar is dissolved. 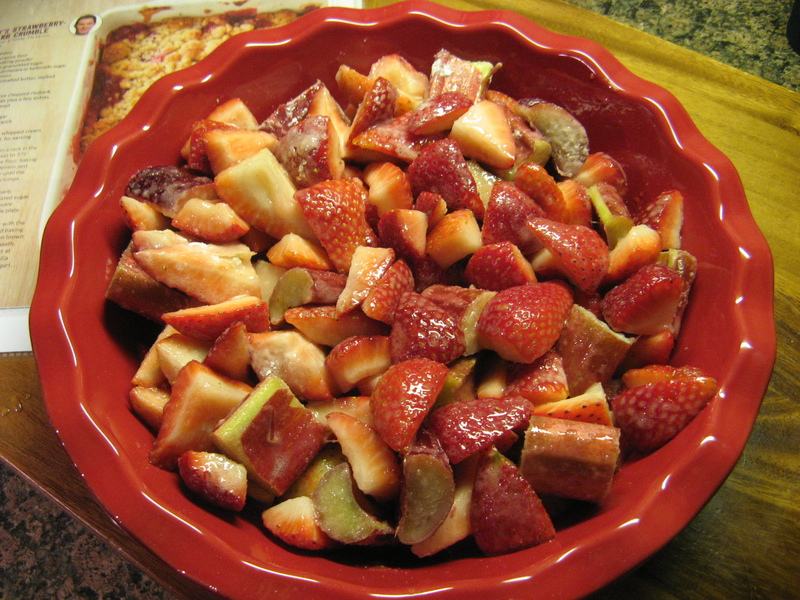 Pour the mixture into the prepared pie crust and sprinkle with nutmeg. Bake in the preheated oven for 45-60 minutes, covering the edges of the pie with aluminum foil for the first 25 minutes and then remove. 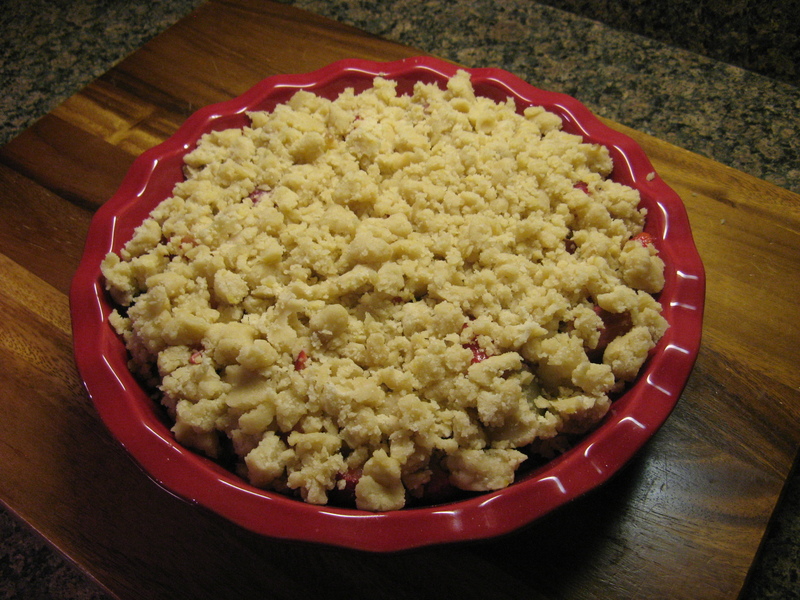 Pie will be ready when the custard has puffed up – sides and center. Remove from the over and place on a wire rack to cool completely. How was your Thanksgiving? Have you eaten the last of your leftovers? At some point were you suffering from a food coma? Mine was good. 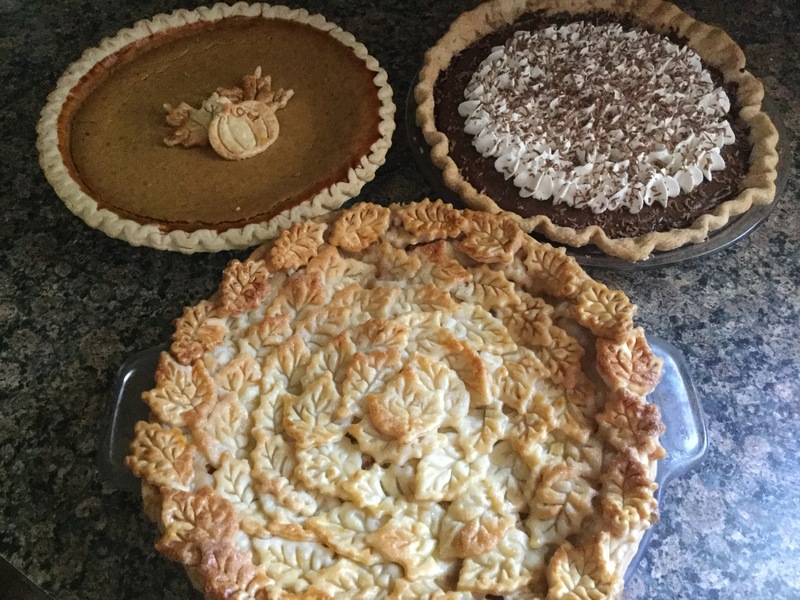 I was in charge of dessert, and along with a traditional pumpkin pie and the Brown Butter Vanilla Pear PieI posted a few weeks ago I also made an Apple Streusel Dump Cake (come back tomorrow for that recipe) and today’s Chocolate Cream Pie. This pie was a HIT! 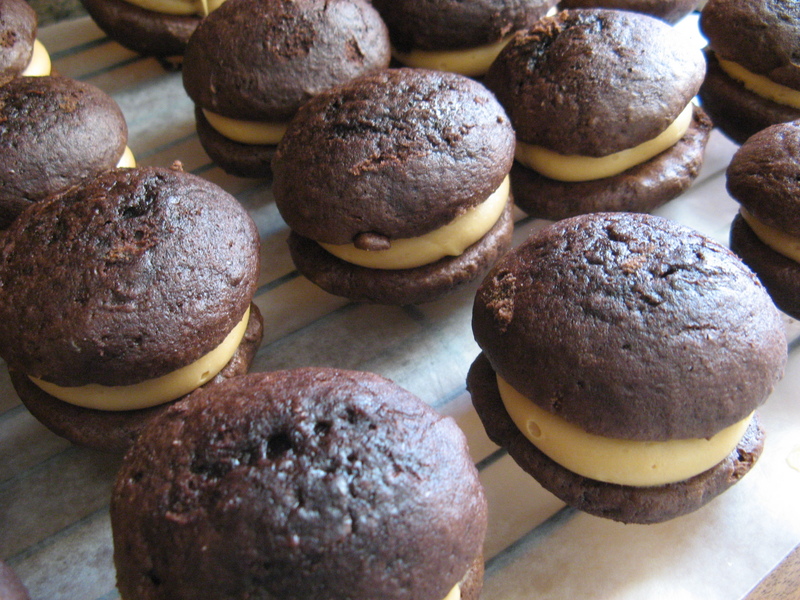 Not too sweet… The perfect amount of chocolate! The recipe yields more mascarpone whipped cream than needed, don’t toss it, enjoy it with some berries. Use it to top off some hot chocolate. Or, spread it in a thin layer, freeze it and then use small cookie cutters to cut it into shapes to use in lieu of marshmallows in your hot chocolate. 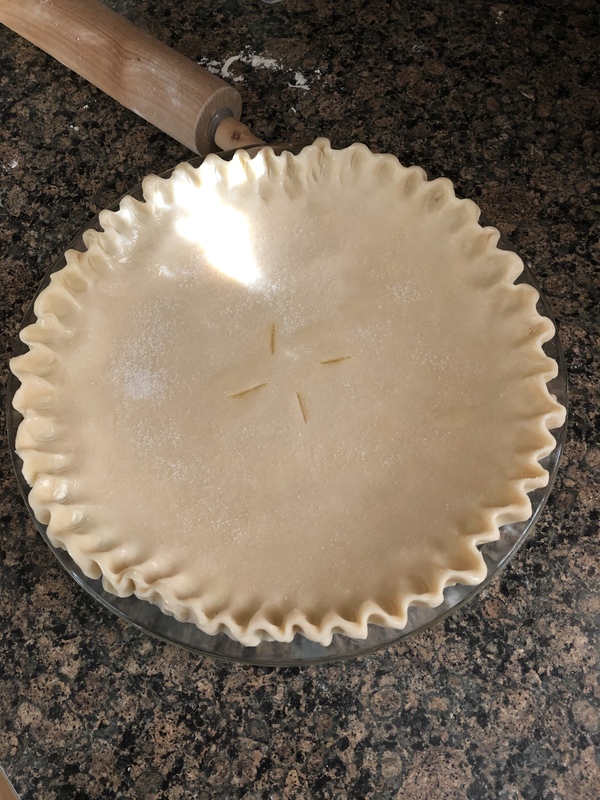 Make the crust: Preheat the oven to 375 F. Roll out the pie dough into a 12-inch round on a lightly floured surface then fit into a 9-inch pie plate. Fold the overhang dough under itself and crimp the edges. Place a piece of parchment paper inside the pie crust and fill with dried beans or pie weights and bake until the crust is starting to set and brown, about 20 minutes. Remove the parchment paper and the beans/weights and bake for another 5 minutes, until the crust is golden and crisp looking. Let it cool completely. Melt the bittersweet chocolate in heatproof bowl over a saucepan of simmering water. 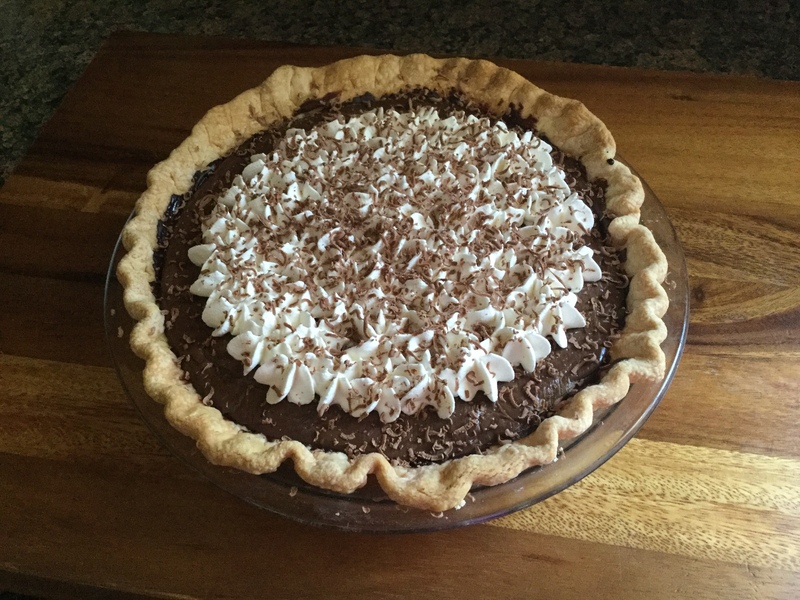 Using a pastry brush, brush the inside of the pie crust with the melted chocolate in a thin layer, place in the refrigerator to harden. Make the filling: Pour 2 cups of the milk into a heatproof bowl and set over the pan of simmering water. Heat the milk until it’s almost boiling. Add the unsweetened chocolate and stir until melted. Remove from the heat. Before serving make the mascarpone whipped cream: Beat the mascarpone, sugar and vanilla extract in a large bowl with a mixer until creamy. Add the heavy cream and continue beating until it holds stiff peaks. Add the cream to a pastry bag fitted with a large star and pipe it on top of the pie. Sprinkle with shaved chocolate.